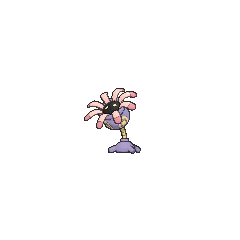 Shiny Lileep in game: 62 Who? Important notice! 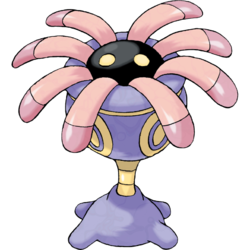 Pokemon Shiny Lileep is a fictional character of humans. 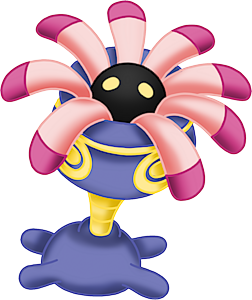 Lileep is a somewhat plant-like Pokémon with eight dark-tipped, pink tentacles protruding from an opening on top of its head. The tentacles are waved around to attract prey, which is swallowed whole after being entangled. Inside the pitch black opening are two glowing, yellow eyes. The remainder of its head is purple with yellow eyespots resembling targets. The head is connected to the body by means of a yellow stem. The body itself is purple and semi-spherical. 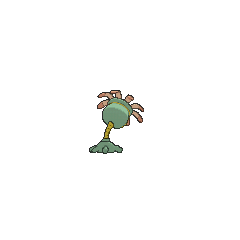 Four stubby roots anchor this Pokémon firmly to the rocks of its home on the sea floor. Lileep has been extinct for 100 million years, but specimens can be revived from Root Fossils. 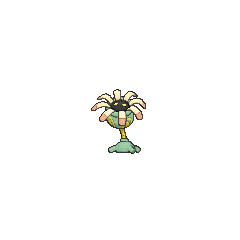 A group of Lileep were seen on the Island of Fossil Pokémon in Where's Armaldo?. Three Lileep appeared in Lucario and the Mystery of Mew living in the Tree of Beginning. A Lileep revived by Dr. Kenzo appeared in Wild in the Streets!. A Lileep was set free alongside an Anorith during Ruby's stay in Fallarbor Town, and using the raw talent in battle that he inherited from Norman, he calmed them (when he saw that nobody was looking, of course).